Top 5 Incredible Benefits of the Squat Exercise: Workout Killer! 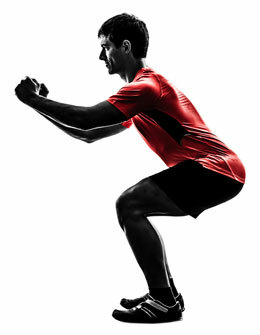 One of the top exercises that are performed is known as the squat. This exercise can be performed in a variety of different methods depending on the equipment you are planning on using. You can choose to execute the squat with a dumbbell, barbell, holding a weight plate, or even just using your own bodyweight. 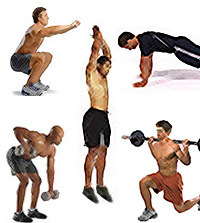 Each variation is still classified as resistance training. Let’s take an in-depth look at these five benefits! Your skeletal muscle includes bones, joints, ligaments, and of course exterior muscles. Keeping all of these healthy and strong is imperative if you wish to prevent muscle injuries and reduce soreness. Muscle soreness without having performed physical training means you have weak points on your body, which usually applies to your joints and muscles. Your knee, shoulder, and hip joints take a beaten every day. This wears them down unless something is done to strengthen them like performing squats routinely. When properly performed, the squat is a very useful exercise for strengthening your body as if you were a teenager again. Your core muscles are important because they protect your spine, assist with breathing, and allow your trunk to move in all the directions it is normally capable of going. 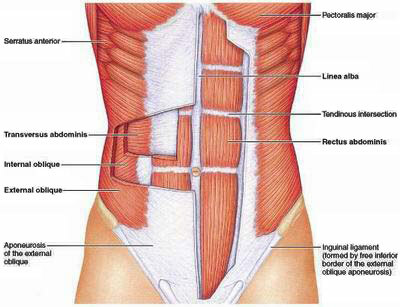 These muscles are both on the exterior portion of your body and deep within next to your spine. They contract to let you turn and bend at the hips, and also keep unwanted pressure from reaching the spine. Squats are not a primary core strengthening exercise, but they are still very effective at accomplishing this task especially when using moderate to heavy resistance. Your abs, legs, and glutes get most of the contractions. Building muscle does not necessarily mean you will be large and bulky like a bodybuilder. Instead, you develop lean muscles that are well defined unless you eat a lot of calories to encourage large muscular growth. Have you seen the fitness men and women with well rounded and firm glutes? This occurred because the fat on your buttocks converts over to muscle when contracted enough. 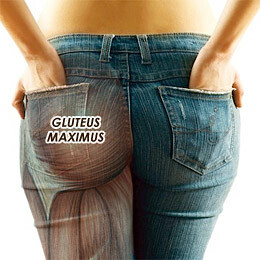 Squats are effective at targeting your glute muscle when they are squeezed as you finish out a repetition. Other muscles that receive the most contractions are your quadriceps, which are basically the large leg muscle in the upper front portion of your legs. Functional training can refer to two different things. One is performing an exercise to mimic movements that are performed daily in order to keep those highly used areas strong for the constant use. The other way to look at functional training would be for athletic purposes. 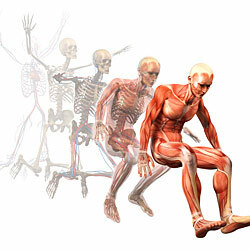 You perform an exercise that strengthens muscles used for certain movements during a sport activity. Squats cover both different ways to look at functional training. This exercise mimics you getting up and sitting down on a daily basis. When these muscles are strengthened with resistance, you can feel rest assured that injuries are far less possible. 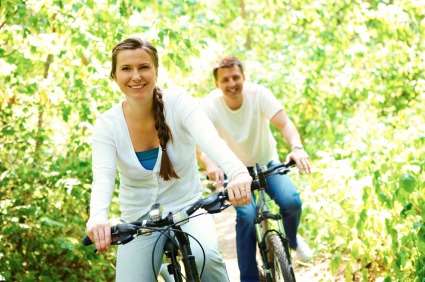 Hormones are what make the different processes in our body to take place. Testosterone is a well known hormone for boosting muscular strength and endurance. 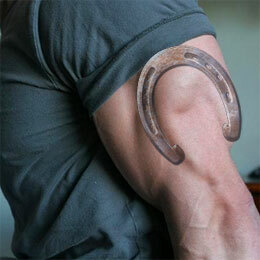 The growth hormone helps develop new bone and muscle cells. There are a lot of other processes to think about with hormones, but the point is that hormones do a lot for your body. Even women need a sufficient amount of free testosterone released to have energy for completing exercises. Squats are best performed as the first or second exercise during a program because it allows the release of more hormones. You will only receive slight boosts from this increased hormone production. This is nothing like taking a supplement or anything. No More Doubts so go Perform Squats! Squats are one of the best exercises you can consider adding into a training program intended to target your core muscles, leg muscles, or even your body as a whole. Adding more resistance through weights is great for developing muscle and allowing better emphasis to be placed on your body’s muscles. Your arms even get a great workout in when you are having to grasp and hold the bar across your upper back as your perform the squat. Squats are often performed incorrectly, which could lead to serious back or knee pains unless your posture is fixed. A few tips to remember are keeping your spine vertically straight; chin tilted slightly up, and always keep a bend in your knees even as you come out of the squat position. Ensure that you ask a person for help if you are unsure of how heavy the weight is. Dynamic stretches prior to training are also helpful for loosening your muscles and joints.